Get ready to meet your fate when “The Six-String Siren,” guitarist Diana Rein, releases her highly-anticipated sophomore album Long Road (Street Date: Wednesday, May 18). Get ready to meet your fate when “The Six-String Siren,” guitarist Diana Rein, releases her highly-anticipated sophomore album Long Road (Street Date: Wednesday, May 18). Written, recorded and produced by Diana Rein, the disc features twelve original tracks on which Rein sings, plays lead, bass, and rhythm guitar. Long Road was mixed and mastered by Peter Duff at Grey Brick Studios in San Diego, CA. In Mythology, Sirens were dangerous yet beautiful creatures that would lure sailors with enchanting songs and make them crash onto the rocky coast. It is said that some crews survived by inserting wax in their ears to keep from being compelled. But what if the music was turned up? What if it was amplified? What if there were soaring guitar tones that shook your bones and cut through to your soul? You’d be helpless. 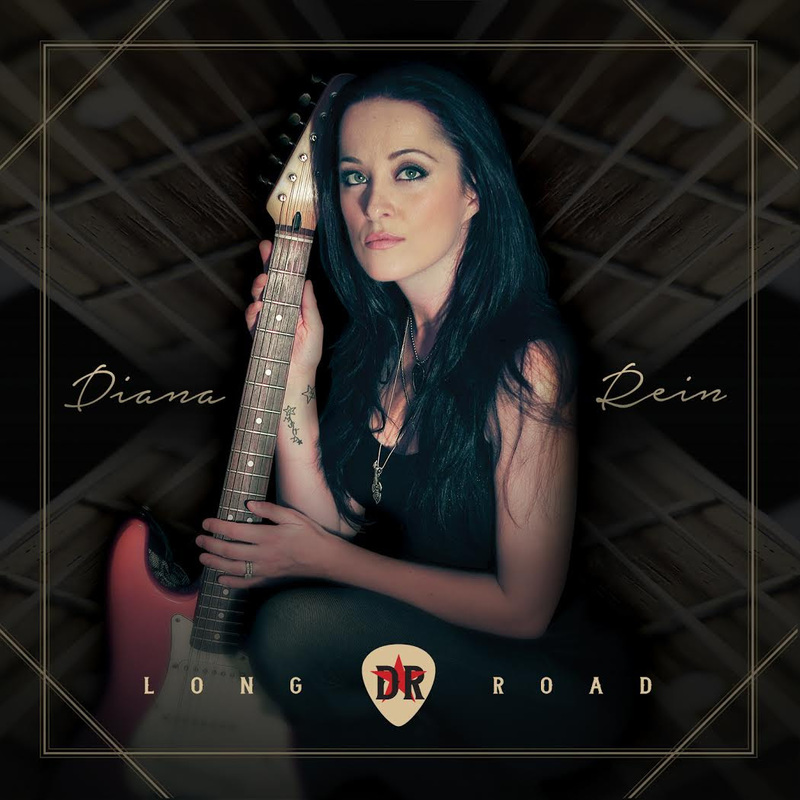 On Long Road, Diana Rein displays a sharp tongue, driving blues-based guitar, and melodic solos. It won’t take long before you fall under her spell. The title track eases you into the album with the admission that life tried to steal her dream but “it’s been a long road and now I’m coming home, time forgives, lets me in, starting over.” With vocals and guitar solos intertwining in a call-and-response fashion, the melody keeps you floating on a sea of sound. “Wild One” punches the listener in the gut with its bone-rattling bass line and lead guitar riff. This sets the stage for what Long Road is about: Soaring guitar solos and thought-provoking lyrics. Some big attitude from a little lady, “I love to play the Blues till dawn, my main man is Stevie Ray Vaughan,” which also allows Rein to honor her biggest inspiration. “Done Me Dirty” doesn’t spare anyone. Rein’s lead guitar oozes with a twang that means business and the vocals aren’t far behind. On “Don’t Walk Away” there’s an admission of betrayal; no one’s perfect and being honest is the only way to grow – “I know it’s hard to look at me, but if you did what would you see? That I’m damaged or unworthy of love anymore, or would you hold me tight and not keep score,” Rein sings with a soul-filled passion. “Come Back Home” is about ‘coming back home to your strength and inner guidance when issues in life seek to derail you,’ explains Rein. There’s an authority in her vocals and the guitar licks are reminiscent of the late Duane Allman. The melancholy mood of “Wicked” leaves no stone unturned, where our psyche’s dark side can be allowed to come through and make its presence known in order to be better understood. Rein’s vocals on “Wicked” pierce the soul, while her lead guitar cries sadness and regret. “Down Down Down” begins with a porch-blues guitar solo coupled with haunting vocals that segues into a head-rockin’ guitar and drum beat which sends the message, “if you drag me in the fire I’ll kick never cower, just try to keep me down I’ll rise like a flower.” The guitar solos have an anthem-like quality that position themselves as the album’s climax. “Peace” is a bittersweet guitar instrumental written after the death of Diana’s beloved dog, Zoe. The melody in this song will embed itself into your soul and stir up heartfelt memories.